With its peculiar roof terrace as new attraction to the visitors, The Church Inn is definitely one of the most attractive pubs in the Jewellery Quarter area. This centenary building had been under some refurbishment and has now become a very pleasant and spacious bar. It is impossible not to admire the decor, which is influenced by the New Orleans French Quarter. 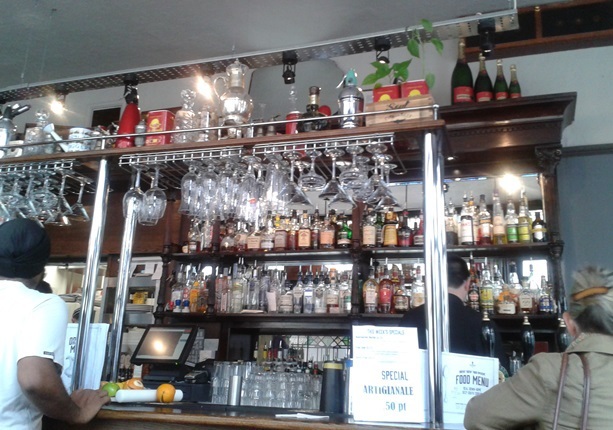 I particularly fell in love with the aluminium red ceiling lights and the retro American diner seating booths. The Church Inn has a quite impressive roof terrace indeed; it is no doubt one of the reasons people pay a visit to the establishment. The view from the top is nothing more than some typical JQ's flats and office buildings, but it has something special about the atmosphere that made us comfortable enough to enjoy the sunshine and ask for (many) drinks while there. On my first visit, I was quite surprised by the Brazilian connection - starting with a typical Brazilian meal found in their menu. Yes, they were serving Moqueca, a dish popular in Bahia, usually made with plenty of seafood and some spice. Their vegetarian option seemed to be a quite tempting one and I would definitely try it next time. My first visit to The Church Inn ended up being an evening of cocktail sampling - it's the perfect place for a cocktail or two. In our case, plenty more. 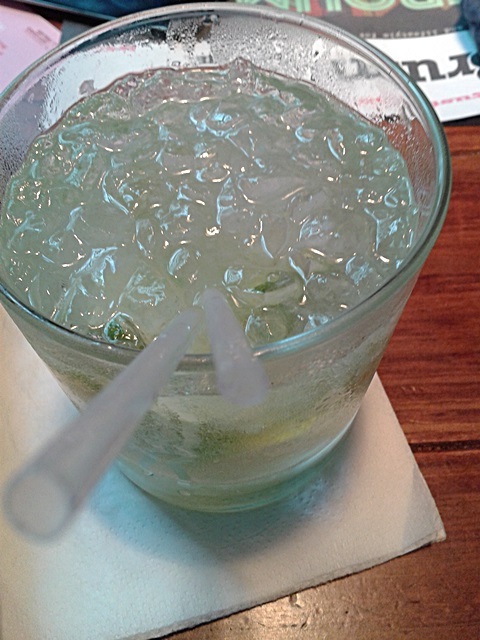 My curiosity about the Brazilian dish led me to the predictable question: Do you prepare Caipirinhas? 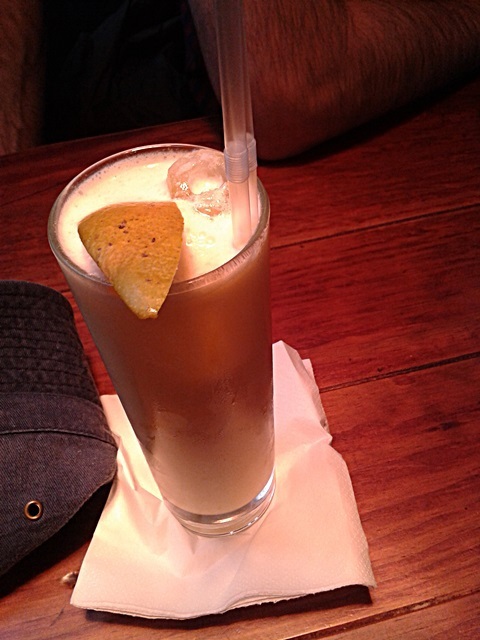 It`s not in the menu but people at this pub are so friendly that some Caipirinhas were prepared for my us. Gorgeous ones! Another Brazilian drink from heaven Batida de Manga (Mango Batida) was also a another find there! 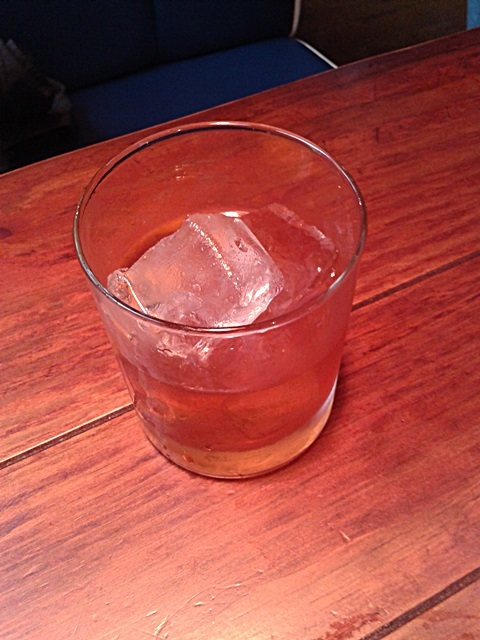 It's a perfect mixing of cachaça (Brazilian Rum), condensed milk and a bit of ice. 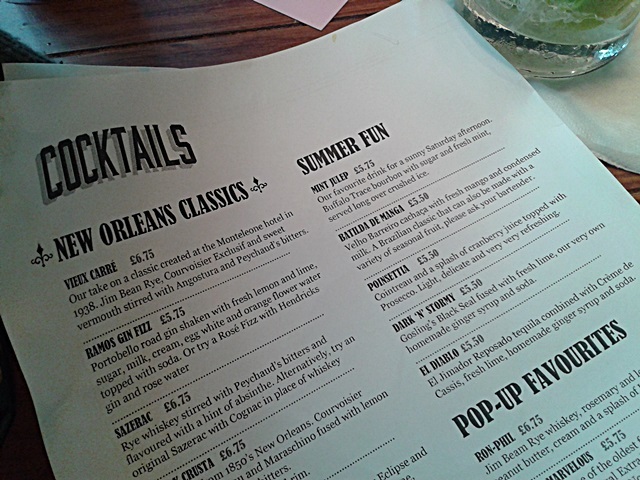 My friends decided to go little bit further and some New Orleans classics such as Hurricane and Sazerac - they were really nice choices. After a really enjoyable afternoon of some cocktail sampling at The Church - I would definitely recommend a visit to this bar soon.